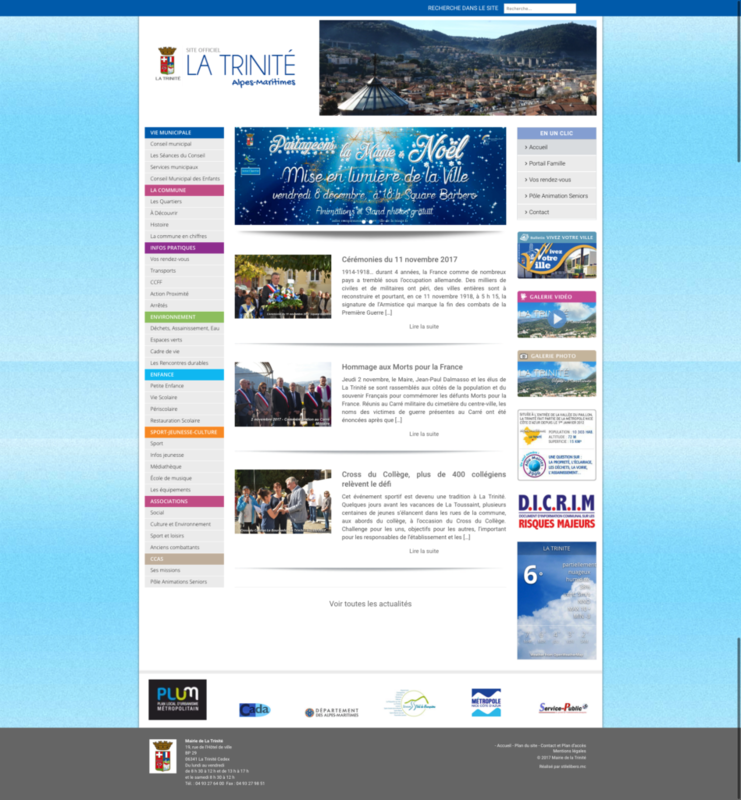 In collaboration with stileliberocommunication.com ( a web agency based in Montecarlo principate (fr) ), we had developed the istitutional website for the municipality of ” La Mairie de La Trinitè “, a city (near Nice) that is located in department of Alpes-Maritimes in the Provence-Alpes-Côte d’Azur region. It’ a responsive website, developed from scratch with wordpress. The particalarity, is that have a main navigation with more than 30 menus. We have thought a solution for usability on mobile.